Princess Cruises recently launched a new travel blog titled 50 Essential Experiences: The Travel Bucket List. The blog features entries from Destination Experts – Princess employees – who share their insight on 50 must-see destinations along with their cherished memories and a great photo or two. The blog will also publish a Reader Essential Experience each week! 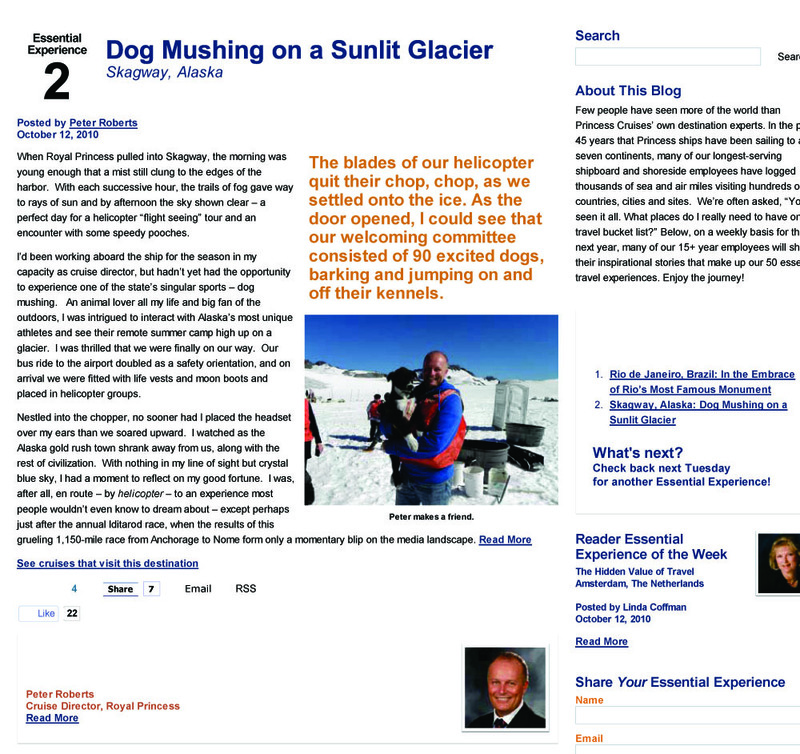 New today is a Skagway Dog Mushing Experience: Dog Mushing on a Sunlit Glacier. 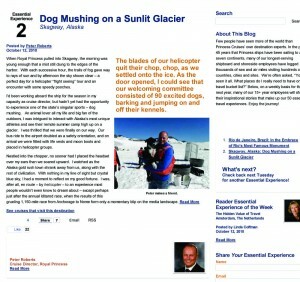 Check out this fun, new blog at 50essentialexperiences.com.